This is Redxun documentation (more on this product here). You can skip the documentation with our 24h theme installation service. Whether it’s your own website or a client's, we can take the burden of installation off your shoulders. Theme installation includes full setup of the theme, plugins, settings, and demo content. Your website will look just like the demo within a few hours! 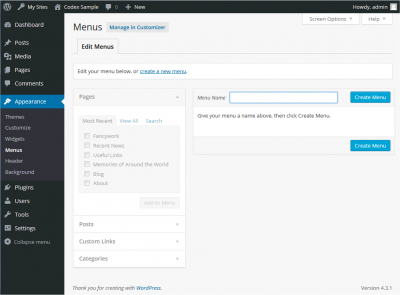 Redxun is a Wordpress theme, so you must install Wordpress first. There are several ways to install WordPress but the easiest way would be to use one of the one-click autoinstallers available from you hosting company. Click here to learn how to install WordPress with the most popular autoinstallers, WordPress Toolkit, Cloudron, Fantastico, Installatron, and Softaculous. Redxun theme supports one-click demo importer. Before anything, make sure that you have installed and activated the required and recommended plugins. You will see an alert in your dashboard if you haven’t done so. Navigate to Appearance -> Import Demo Data. Be patient, do not refresh and wait for the process to complete. It can take a few minutes. It’s very important that you only run the Demo Importer a single time to avoid duplicated content. Redxun comes with 2 widgetized areas. One of Redxun’s greatest features is the option to choose a custom header. 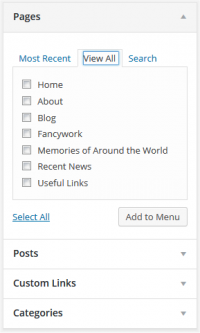 You can add any shortcode, video, slider, literally anything you can think of; this generates a high flexibility on how you manage your blog posts. Make sure you replace mfxQy5A_tHs with your own YouTube video id. Redxun comes with WowPopup premium plugin. "Redxun" theme is translatable. All you have to do is to install a specific plugin so you can easily translate the theme in your own language. We recommend you Loco Translate plugin. "Redxun" documentation is always evolving. If you have questions, please, submit a ticket here. Also, don't forget to subscribe for news, updates & releases!